Note: This is the first post in a 4-part series. Read part two, part three and part four. Few places are drier than the Middle East and North Africa. Host to 5 percent of the world’s population, the region has only 1 percent of the world’s renewable fresh water. Population growth and increasing demands for food, housing and jobs place extreme pressures on water resources, raising the potential for conflict within and between countries. Climate change could make a challenging situation worse. The first step for effective water decision-making is data – understanding the location, availability and quality of water resources. To be effective, water management decisions need to be grounded in the best information available. However, political and economic constraints often mean that decisions affecting water use in the region rely upon outdated or inaccurate information. USAID is working to put accurate data – and the know-how to interpret them – into the hands of the region’s water decision-makers. Since many in the region access shared water resources we are also promoting international cooperation and data sharing toward effective regional water management. Our Middle East Regional Cooperation program (MERC), for example, brings together teams of Arab and Israeli scientists to address common development problems. This series profiles several initiatives focused on data, technology, cooperation and decision-making. Last year’s World Water Day edition of Global Waters portrayed others. Effective water decisions require accurate data. Using science and technology to improve water decision-making, USAID is helping the region to overcome scarcity, and ensure that water serves as a catalyst for sustainable development. Effective water management requires a regional approach. Water does not necessarily abide by the man-made lines drawn across the sand marking today’s international borders. Rather, it flows – above and below ground – along lines understood by geographers, not those drawn by cartographers. Therefore a transboundary approach, informed by accurate water resources data and decision-making tools, is essential. USAID has taken the lead in making available U.S. satellite data and remote sensing capabilities to key regional water decision-makers. Joining forces with NASA’s Goddard Space Flight Center, the World Bank, the International Center for Biosaline Agriculture (ICBA), and national agencies in Jordan, Lebanon, Tunisia, Egypt and Morocco, USAID has developed a suite of advanced land surface models to provide regional scale hydrological data relevant to water resource planning and management. Satellite data is verified by local government measurements and fed into analytical models to turn raw data into decision-support tools. For example, in Jordan, one of the most water-scarce countries in the world, USAID is working closely with the Ministry of Water and Irrigation (MWI) to ground-truth NASA satellite data. 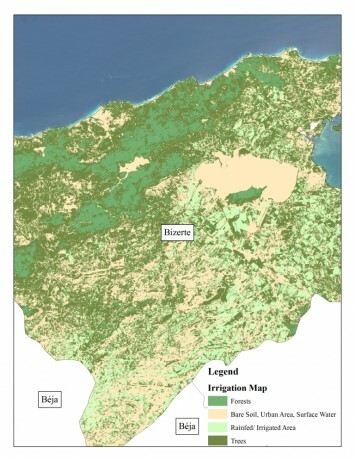 The detailed satellite information on groundwater levels and vegetative cover are used in conjunction with population statistics and measures of water levels in wells throughout Jordan to enable NASA and USAID scientists to accurately track water levels in aquifers throughout the country. Making use of this resource, USAID and the MWI are able to improve water resource planning efforts, and avoid the over-depletion of key aquifers. Sound water management begins with good data provision. Groundwater resources are under increasing pressure in the MENA region, and declining levels in many aquifers highlight the need for careful future management. Given the growing and diverse needs for water, decision-makers need to understand current resource limits and the impacts of future policies as they balance competing demands. The United States is a leader in using satellite data and remote sensing technologies to inform water decision-making. We are making available these powerful tools around the arid Middle East as the countries of the region chart their own hydraulic future.